This Emjoi eRase e60 review gives you all the reasons why this is a great choice if you want an inexpensive epilator. It is efficient and beneficial for your beauty needs. It has many great features, including 60 tweezers and several different attachments to make your shaving and epilating experience as effective as possible. 2 speed settings allow you to customise the experience to suit your tolerance level whilst the corded power supply ensures that you can use this device reliably for as long as you need to. 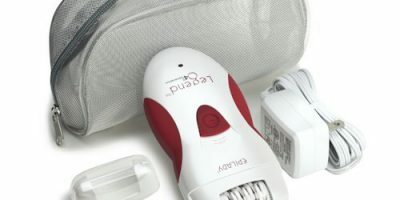 Despite being one of the more advanced epilators on the market, you can pick up this epilator for much less than $100. With all the advanced features that it comes with, you would expect the Emjoi eRase e60 to have a much higher price tag, so you’ll be pleasantly surprised if you’re looking for a better epilator. The Emjoi eRase e60 is a corded epilator, which has its pros and cons. If you want to enjoy full and consistent power for as long as you need it, the corded option is a great idea. Even if you are travelling, you only need to make sure that you take the correct power adapters and you will be able to use this epilator in a hotel or other accommodation. Obviously, if there is no power where you will be staying, then this is probably not going to be the best choice. Camping for example means you wouldn’t be able to use the epilator. Not many people opt to take luxuries such as epilators on camping trips however and as cordless epilators generally take a few hours to charge, and can only be used for between 30 and 50 minutes before requiring another charge, this more reliable power option is preferred by many. The Emjoi eRase e60 is fast and efficient. The epilator head has 60 tweezers, which ensures that when you make a single pass over the skin, this epilator can catch many hairs. This reduces the number of times you have to use the epilator on the same piece of skin. Each time you use an epilator on skin in any one session, you will usually find that the skin begins to tingle and every further time that it is used, this makes the skin more irritated and sensitive with every pass. The more effective Emjoi eRase e60 ensures that you don’t feel unnecessary irritation on your skin when you use this epilator. 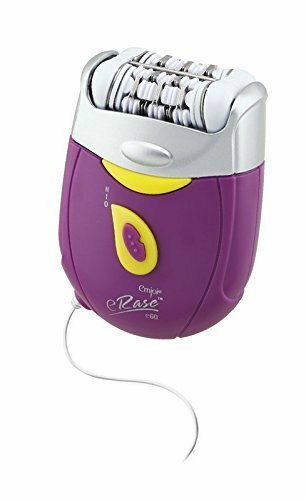 You can use this epilator on all areas of the body. It is suitable for use on the underarms, bikini line (bikini shavers and trimmers comparison), legs, arms and even face. It is also suitable for men and women. Using an epilator with tweezers is better for some people as alternative options are not possible. Laser technology for example will not work for certain skin colors or hair types so the Emjoi eRase e60 is a good alternative. You can choose between two different speed settings depending on your preference. This makes the epilator good for most areas of the skin too as you can change the speed of the rotations according to your pain threshold. You can use the gentler settings on the bikini line and the armpits, or choose the faster setting when you want a wider and more efficient coverage, such as on the legs. The Emjoi eRase e60 Epilator comes with a few great attachments to help you to get the most out of this device. Whilst even some of the more expensive epilators only offer a couple of additional heads with the epilator, this one has enough to make it the perfect all in one device. A bikini trimmer allows you to trim longer hairs precisely without needing to purchase a special bikini trimmer separately. You can enjoy the precision and ease that this attachment offers you. 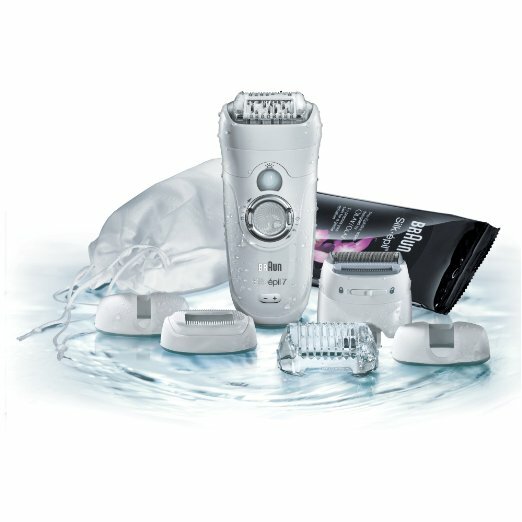 The shaver and epilator heads are hypoallergenic as they are foiled, and this makes them suitable for sensitive skin. You can enjoy a gentle shaving and epilating experience with this tool. The foiled finish also makes this epilator easy to keep clean and prevents bacteria from building up. There is also a dual epilator head, which allows you to epilate larger areas more quickly. More hairs can be plucked at a time as hairs lying in different directions are pulled when this head is being used. 60 tweezers ensure that hair is plucked on the first pass over the skin, reducing pain and irritation. Erase Glide technology allows you to move the epilator in either a circular or back and forth direction to experience smooth, hair-free skin. Suitable for arms, legs, underarms, bikini line and face. Attachments allow for greater precision or coverage. The dual head keeps the skin taught and creates less pain than other epilators. 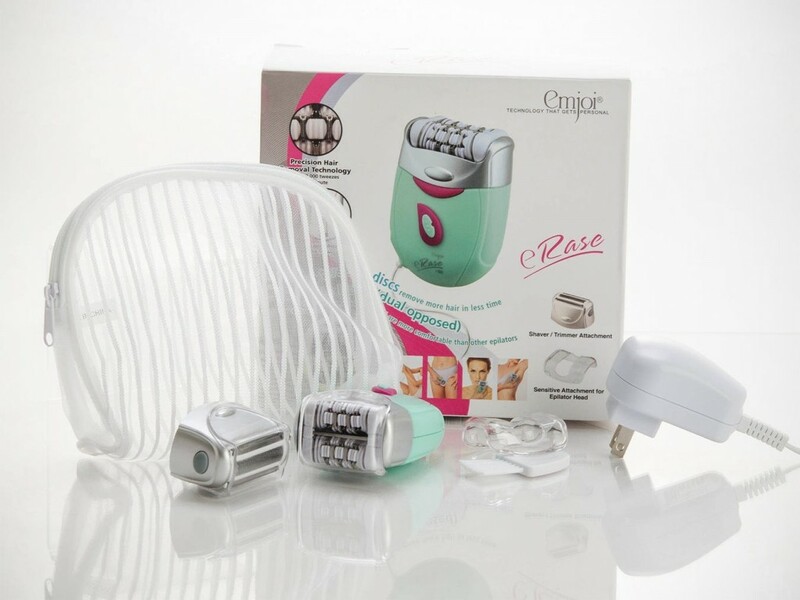 This epilator is highly affordable and suits most people’s budgets. Removes hair as short as 0.3mm. This epilator is easy to clean thanks to the high-quality antibacterial foil coating on the shaver attachment and the tweezers. There is no precision cap for this epilator, which some of the other makes of epilator usually offer. This can make smaller areas, such as the face a little more tricky to epilate properly. This epilator is not waterproof so you will not be able to use it in the shower or the bath. This is not a cordless epilator, so it may not be suitable if you want to use it away from a power socket. 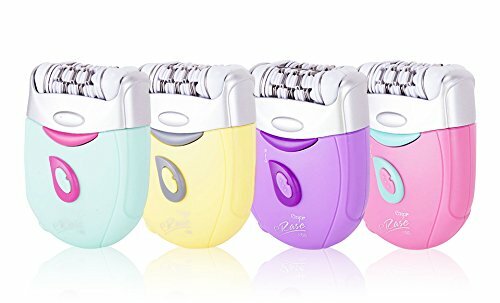 This low cost epilator as everything that you could possibly want from a hair removal device, but it doesn’t come with the hefty price tag that some of the competitor’s models come with. Several attachments and the speed controls make using this device as simple as possible. You can also clean the various parts of this epilator with ease thanks to the foil coated tweezers and shaver head. As you can see in this Emjoi eRase e60 review, whilst it isn’t waterproof or cordless, there are plenty of other great advantages and features that you can benefit from when you choose this epilator.